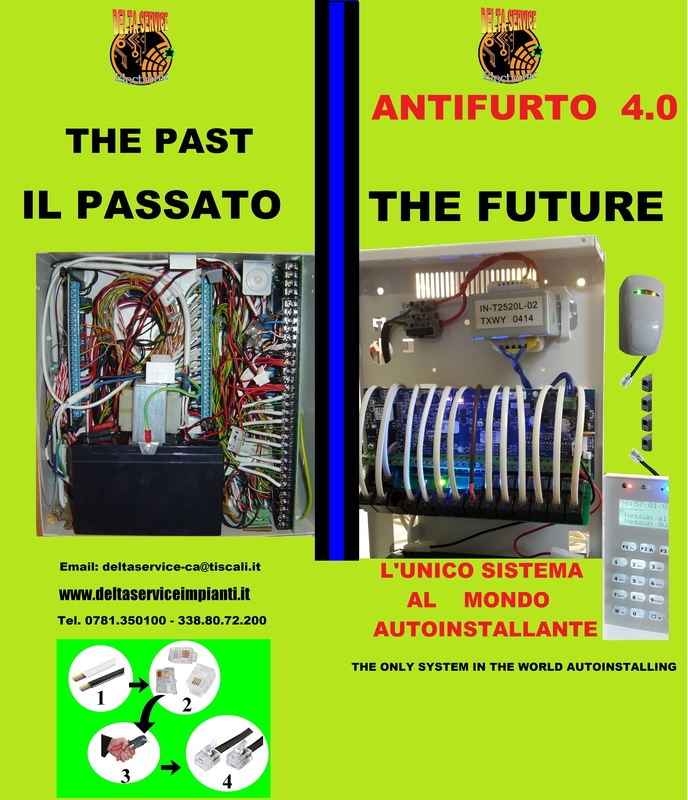 It dims installation times, captures sensors and peripherals automatically, simplifies work and lowers plant costs. The patent consists of a PCB electronic board that connects to standard anti-theft powerhouses for residential or commercial premises, simplifies and speeds up work. Converting wire / wire connections to RJ11 / data connections. Decreasing working times and labor costs. Making the system expandable immediately after inserting the new connector of the new sensor or peripheral, without having to modify or re-program the system. It also improves system performance, allowing fast intuitive troubleshooting. Improves and streamlines cabling. It instantly protects any sensor connected to cable cutting or sensor sabotage, individually, instantly and without any modification to existing wiring. Also with regard to the insertion of new sensors. Saves working time, at least 50% / Significant economic savings. Execution cleaning, immediate identification of lines, faults and faults. Disconnection of wire / wire wiring on PCB terminals, and wiring confusion. Instant system upkeep and modification. Immediate tamper on each connected line. One weakness is to adapt the boards to the different power plants.